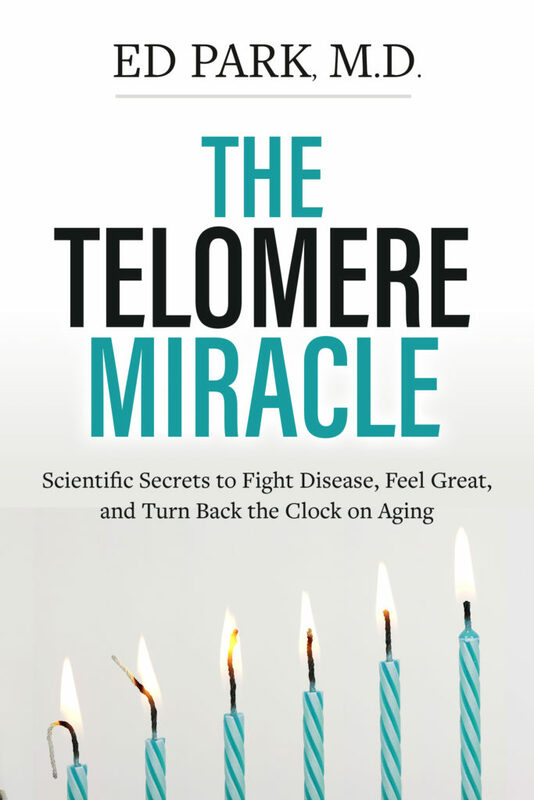 I am pleased to announce that I have completed a new book called The Telomere Miracle that is slated for release early 2018 by Hay House Publishing. For those of you who haven’t heard of Hay House, they are the premier publisher of Alternative Health, Spiritual (New Age if you will), Self-Actualization, and Self-Help books. 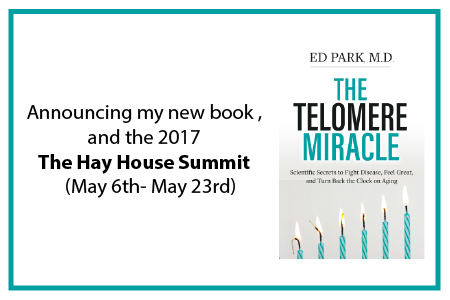 As part of my collaboration with them, I am very proud to be associated with such thought leaders as Louise Hay, Wayne Dyer, Eckhart Tolle, Joe Mercola, and Teal Swan in this year’s Hay House Summit. I gave a spirited one hour interview for them about “The New Theory of Aging” which I know you will enjoy. If you are reading this blog, chances are that you are interested in alternatives views, self-improvement, and learning new things. Well, Hay House is at the forefront of publishing medical authors that I admire like Joe Dispenza (You are the Placebo) and Lissa Rankin (The Fear Cure). After May 16th the, regular price for the Ultimate CD library will be $397 and the price for Digital Downloads will be $197. Heads up: Act soon and you’ll even get last year’s 2016 Hay House Summit on CD (only 91 remaining as of today, April 21st). 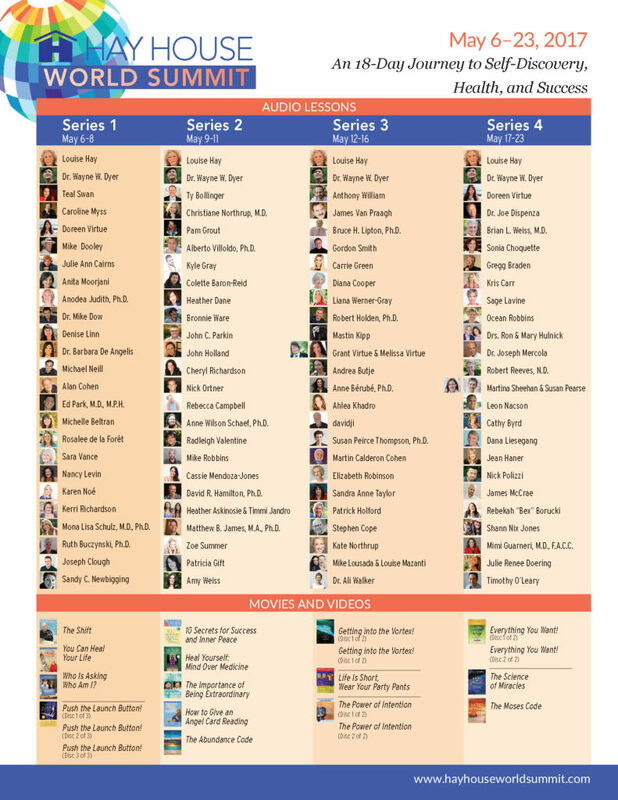 So, you get to own and benefit from 115 audios and videos of this year’s summit for only $147 and you can pick and choose based on what grabs your fancy, returning to it or disregarding it, as you see fit. But if you are thinking, “I have more than enough health, success, and wisdom and could really spare those $147 dollars”, then of course, that is another matter entirely. Thanks for considering!